 Elsa is one of the many children of IPPL’s Arun Rangsi and Shanti. When she grew up, she was placed with Nicholas, a former zoo gibbon. They are one of our cutest couples as they frequently groom, cuddle, and play together. Despite being raised in a regular gibbon family with her parents and many siblings, Elsa greatly enjoys being groomed by our animal care staff. If they stop scratching her back too long, she will glare at them pointedly until they resume their back-scratching duties. She does get very jealous if her mate Nicholas is getting attention and has been known to dish out a light slap on the head to our animal care staff if they are interacting with Nicholas instead of her. 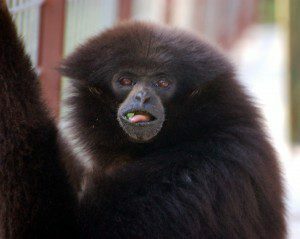 Elsa, like a number of our female gibbons, thinks it is her duty to remind nearby females how fierce she is. Her preferred way of doing this is her own style of food fighting. While staring at her intended target, Elsa will do a kind of heavy-duty chewing; spewing little pieces of her food everywhere and will even throw bits in the direction of her rivals to remind them to stay in line. There are times when we swear she has thrown more food than she has eaten!